Engaging and Concentrated – Full of Zest! In December 1992, I wrote my last exam and graduated with an engineering degree from the University of Ottawa. Two weeks later, I launched my first business and became the Executive Director of a non-profit called Youth Engineering & Science Camps of Canada. There were a lot of people in my life at that time who made the vision possible. There was no way I could have done it without them. One of those people was Elza Seregelyi. My first meeting with Elza was at her office in the Bell-Northern Research office where she worked. 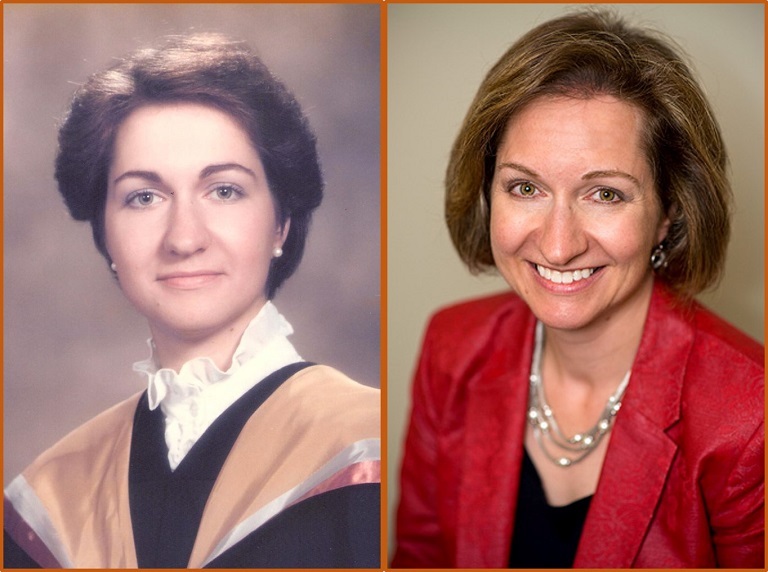 She was leading a team supporting educational initiatives to promote excellence in science education across Canada. I was there to pitch her on the business plan and see if I could get her support to have Nortel as a founding corporate sponsor and partner. Not only did she agree to fund us, but the universe was smiling on me that day, and Elza signed up to take a seat as a Director on my Board. Hindsight is 20/20 of course, but looking back now I can see that she had way more influence on me than I ever could have imagined. As a young punk fresh out of school, I found myself emulating Elza’s approach in our Board meetings. She brought process, reason, understanding, and context to important discussions. Above all, she was a consensus builder. Even when discussions became heated, she was always able to see the bigger picture and help us rediscover our common purpose. She’s a great and insightful soul. When I say that Elza can see potential and possibilities in people before they even see these things in themselves, I speak from the best kind of experience. Back when I was still on the engineering path, Elza – who is also an engineer – created an opportunity for me to attend a conference organized by her team. The conference included a team building workshop. The workshop was an amazing experience. The facilitators put us through our paces. We did some wicked exercises exploring team dynamics, including walking around an obstacle course with giant skis (2x4s on ropes). My mind was officially blown. Professionals do this for a living? The facilitators were rock stars! I clearly remember thinking, â€œI gotta learn more about how they do this.â€ It was the first seed for me, and it was planted by Elza. Besides all that, Elza is thoughtful, generous, and kind. She’s still bringing people together to find solutions and multiply possibilities. I’m sure I’m just one of many who wouldn’t be who or where they are without her mentorship. #SHIFTsauce: Your first degree is Engineering. How did your education help set you on your career path? Elza: I wasn’t interested in a strictly speaking technical degree. I had a more diverse interest, so I did a program at McMaster called Engineering and Management, that included some business courses. #SS: What do you think they were looking for from you, then? They wanted somebody who was comfortable writing and presenting and doing a cost benefit analysis, and doing things that had a little bit more of the business perspective. My role was somewhat of an internal consultant in the company. I did some technical testing, but it was bringing in that different perspective, another lens. The manager of the team told me later, “I hired you because I needed somebody who was different.” That was my first ah-ha that said, “I can do these things, but still put my own spin on it.” Getting personal insight over the years has been key to the various stages in my career. I believe one needs to know one’s self. #SS: How do you do that? The first tool I was exposed to was the Myers-Briggs personality assessment. That was an eye opener for me. I was completely atypical for engineers, and it explained so much. And then the next ah-ha for me was that I became a bit of an ambassador on behalf of BNR, reaching out to schools. I had already been doing a lot of volunteer work in promoting science and technology to women specifically and to girls. That’s very much where I began to be engaged in various organizations and in leadership positions, all on a volunteer basis. And I started doing that a little more for the company, as they wanted to reach out to schools at different levels. I realized that I really enjoyed doing that. So I thought, “I think I’m going to switch my hobby with my day job.” There was a director who was very involved in supporting these kinds of partnerships on behalf of the company and the community with universities, but starting to get a little bit more engaged at the K to 12 level. I spoke to him and said, “If this is ever something you feel could be done on a larger scale with actually making this into somebody’s job, I would love to do that kind of thing.” A few months after that, they hired me to do exactly that. I was very, very fortunate and I got to very much define that new role within a company and eventually build out a team. What I had been doing on a volunteer basis became my day jobâ€”with specific objectives and things on behalf of the company, but it was a very externally focused group. These were really early days of companies getting engaged at this level of education. And there was a whole movement starting across Canada, and in fact globally, around thisâ€”looking for where are there win-wins. Where could the private sector actually work collaboratively with the education sector for the benefit of students, where industry could get something good out of it, the students and the teachers get something good out of it? My role was all about designing programs and activities, initiatives that help make that possible, fulfilling the corporate objectives – which at that time was mainly encouraging students to consider the technical careers because there was a real shortage. That was driving a whole lot of grassroots activity across the country. #SS: And you met Moe through that role? Yes. At Bell-Northern Research, we were supporting a number of youth engineering science camp programs. Moe was taking a leadership role in bringing all of the local programs together under a national umbrella. I worked with him both as a funder from BNR, and also joined him as a Director on his Board to help get the organization established and growing across the country. One of the things I realized just before I connected with Moe’s I was transitioning out of my technical engineering role into a different kind of role – was that my love was really in working with people, connecting people, helping people to achieve success in whatever they needed to do. That interest was sparked in my volunteer leadership positions, and it helped me realize that there were some things that I was really good at doing. I also have to credit a mentor within BNR. His name was John Mlacak. John has since passed away, sadly, but at the time he was, I believe, director of strategic planning for Bell-Northern Research. He did a lot of facilitation with different groups, and we borrowed him for some of the activities that the company was doing with the local education system in terms of designing partnership activities. I started kind of modeling some of my approaches after his because I found him just to be phenomenally effective. #SS: What was it about his approach that appealed to you? He was a tremendous listener. He really listened and then would come back and distill the kernel of what was most important – and then was able to really motivate a group and take them to the next level. I had tremendous respect for him. He brought me into a couple things he was doing. Even though they weren’t frequent opportunities, I considered that my apprenticeship. I was very fortunate to be able to observe somebody I felt was just tremendously good at what he did in this capacity. Even then though, I never thought of myself professionally as a facilitator at all. These were just things I happened to do, either as a sideline, or it was just a way to get things done with a group of people. #SS: His way of listening, distilling what’s important, and motivating people – do you think these are things that can all be learned, or do you think they were already in you as core strengths, and he helped you see how they could be applied? I think I was inspired because his way resonated with who I was in my approach. Later when I went on to take some formal facilitation training, I found out that there were actually methodologies that had names, so I’m sure he didn’t necessarily invent some of these things, but I just loved the approach that he used. #SS: Today you’re both a facilitator and a consultant? Facilitation is an exception rather than the rule these days, but I take a facilitative leadership approach in whatever role I have. So if it’s coaching, it’s not saying, “These are the three things you need to do”; it’s probing, asking questions, understanding and then facilitating, encouraging – but facilitating the right steps to be taken so there’s some level of direction. I think it’s very much taking that facilitative mindset to working with the individual or the organization, identifying the strengths and then discovering where this can go. I am a consultant – my corporate identity is Elza Seregelyi & Associates, Inc. I focus on multi-sector collaborations, so that could be a project, program development, project management, evaluation, strategic planning. These are the types of initiatives where we have often multi-sector, blended groups that are coming from different sectors. You might have education, government, business, trying to come together to do something collaboratively. Or you might have various community groups, agencies and a public sector entity. That’s where, professionally, I have chosen to put energy: to develop and help to implement those kinds of collaborations. What I focus most of my time on now is entrepreneurship, the startup world. I have been a Business Advisor with Invest Ottawa and currently work with L-SPARK, a business accelerator here in Ottawa. I also run a program called GrindSpaceXL with Queen’s University. There’s this whole ecosystem around supporting startup businesses, focusing particularly on technology, knowledge-based startups. It’s business acceleration – helping them to validate and implement and be successful with their business models, helping them to get off the ground, get to revenue and make their company potentially attractive to investments if they want to go down that path – or just be successful if they’re just going to bootstrap and self-fund. There’s collaboration here, there is leveraging various connections in the community, and working with various partners. How do we leverage all the different organizations, the different people and their strengths and all their resources and try and provide the biggest bang we can for the clients or the participants we work with? #SS: It sounds like exciting work. Things must kind of come together in ways that you’d don’t always expect. Are there surprises? Yeah, totally. In fact, I’ll tell you the story of what actually got me thinking that I might do facilitation professionally. I had left Nortel and I had just started out on my own as a consultant and I was asked if I would facilitate a meeting of various international organizations. I had never been asked to professionally facilitate anything before. I very reluctantly submitted a proposal, which they accepted. These people from all over the world came in for this two- or three-day retreat outside of the city. There was a lot of politics and various concerns and different priorities amongst all these various organizations. It was not, I would say, an easy couple of days. I remember it being quite, quite stressful. I’ll be very honest: I was pretty scared. #SS: And how did it go? I think one of the struggles that I have on an ongoing basis – and I know that other people sometimes feel this too – is just that ongoing struggle to feel competent and to say as a consultant if I’m going to go out, if I can do this for a client and I’m going to charge them money for it, I darn well better be feeling that I can do the best possible job. And I’ve got a really strong drive for that. I value competence. It’s something I feel is important both in myself and the people I surround myself with. #SS: Which would mean that you hold yourself to a very high standard? I did go on and take a number of different courses over time. I felt better and, yeah, I expanded my toolkit so I could feel more comfortable taking on different types of roles and different types of meeting scenarios and all that kind of stuff. And eventually, I think I just went through one of these phases in my mid-40s and said, “I need to shake the cobwebs out and I need to learn some new stuff,” so I went back and got the Social Innovation graduate diploma. #SS: You went back to school! I just felt that that was a wonderful experience at that point in my life – to meet people and again learn some new techniques and approaches, some of which resonated really well with the facilitation side, which I think just gave me a bigger tool set as a consultant and somebody who works with all these different sectors. I would just encourage everybody to inject some new learning at some point, whether it’s formal or not. Life-long learning is just huge for me. I think it’s really, really important. In fact, there was a dozen or 15 years that I spoke to every graduating class at Carlton University. I gave them a career talk. #SS: Can you give us a peek into that? One of the analogies I use… We used to say “the career ladder.” There was this sense that you kept going up and up and up. I adopted more of a rock climbing analogy. You may gain some height, you may potentially be going up, but the reality is you’re going back and forth, you’re getting a hold, you’re looking for another opportunity. It’s definitely not a straight path. #SS: It’s interesting – Your career and education have taken you in various directions, but I do see parallels between what you started to do way back when, with students and educators, and what you’re doing now – mentoring startups and helping them to see what the possibilities are and where they can be successful. Yeah, there’s definitely some common ingredients. One of the things that drives me is less the specific subject matter of the moment, and more the process of bringing the parties together, helping the individuals and organizations do some things together that they couldn’t do previously on their own. One of the other things I’ve learned about myself: I’ve talked about how critical I feel it is for somebody to leverage their strengths, but first they have to know what those are. Strengths and interests, I would say. I found that I’m a startup person, and I don’t mean that only in terms of startup businesses. I like starting things up: designing a process, designing a program, figuring out how things need to work. I love getting the various parties together, coming up with something, helping them implement, getting it off the ground, launching. Then, once the wheels are all turning, I’m ready to hand it over for them make it successful long term. Every mentor will have their own style. I think perhaps because I have had success in facilitating various types of collaborations, that tends to be the style that I use. #SS: Can you share more about how you achieve collaboration and consensus? I think it’s really, really important to listen, to just draw out all the information and all the perspectives and then to look for the common denominator. It’s drawing out what’s sometimes hidden amongst the various stakeholders and then bringing that out into the open. Where’s the common ground we can build on? What might we have missed? Is there an opportunity to brainstorm a new direction? And then let the brainstorming happen. Let the human creativity happen, and then people can start building on that. In order for that to happen, there has to be trust, so sometimes these aren’t single meetings. These can be very long processes, depending on who the parties are and what the histories are. Sometimes there’s a day session where you need to come together and create something and sometimes it’s a year-long process. #SS: When trust is so critical, how do you open people’s awareness and their willingness to see other points of view? #SS: I imagine sometimes you may find that not everybody even wants to be in that room. If that’s the case, we have a whole other problem. It could be fundamentally an issue of do we have the right partners at the table; was our group designed appropriately? You’d kind of have to go back and figure out if what you’re trying to do is achievable with the group you have. And maybe there were some fundamental things that need to be adjusted. #SS: To that point, Moe has described you as a consensus builder and multiplier. You put two and two together and make ten. One of the things I have had feedback on, time and time again: people identify me as somebody who can synthesize, who can bring a group to consensus. I think some of that is, in part, just who I am. In some of the more complex projects that I work on now, it’s not only two parties, it’s multiple stakeholders and you’re really getting to that win-win for all that are concerned. I think it’s really critical to know when to listen and when to push or provoke. It always starts with listening, but at some point, a good facilitator knows when it’s time or when it’s necessary to light a fire and provoke a change in direction, shake people out of the status quo. #SS: Is there anything else that you would offer in terms of advice? I honestly wish people would seek more feedback. I had a number of those kinds of opportunities and I really think they’ve been instrumental in reinforcing what I choose to do and how I do it. Various tools can be really helpful. One I used recently is called Pro.File. It ranked me unusually high in behavioral adaptability. It was very cool – this validation that yeah, I can be a different person in every room if need be. Getting feedback on a regular basis from colleagues, clients, and others can provide insight into how other people perceive you. I think that’s really valuable. Over time we get to know ourselves better and better. The more that we can adapt what we do and how we do it to leverage our strengths, the better we’re going to be at it. Curious to learn more about Elza and her work. Connect with her on LinkedIn. 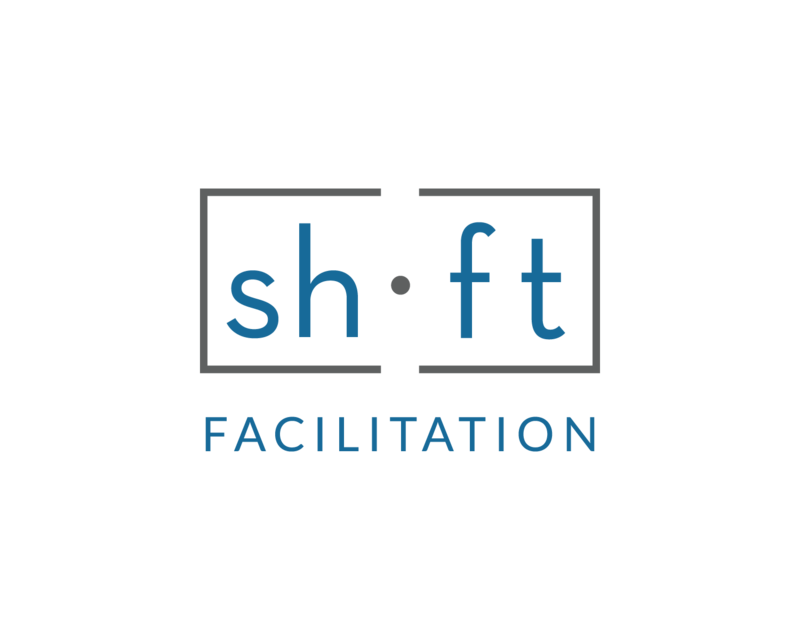 Moe Poirier is the Founding Partner of Shift Facilitation. For over 15 years, he has honed his craft as a facilitator and a designer of training. He is on a mission to have corporate trainers reinvent themselves as change agents and value creators in their organizations. Fiercely advocating for excellence in facilitation skills. Training trainers to consistently deliver exceptional learning experiences, in-person and virtually.